﻿ Lighting Deals: 10 Mid-Century Modern Lamps under 00! Keep scrolling and choose your favorite lighting design! 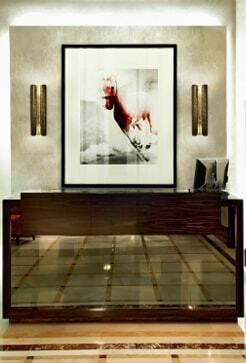 Ike suspension ﬁxture truly embodies what a Delightfull piece is, with an elegant look full of reﬁnement and modernity. It comes in multiple colors and finishes, in order to help make your vision come to life. A classic Louis Poulsen design, Doo-Wop in golden brass is one of the most sophisticated suspension lamps you could have in your home this Summer. 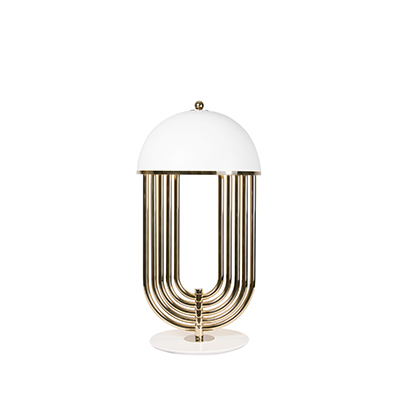 A classic lighting fixture by the lighting brand Souda. An elegant italian design in a gold finish that makes it resemble the sun shining through our windows. Hanna is a vintage suspension fixture which suits perfectly a living room. Its structure made in brass reports to a classical ambiance. Featured in the great BBC hit, Sherlock, Meola table lamp is definitely worthy of lighting your home this Summer. A minimalist mid-century furniture piece to make your home office shine. Barry White’s massive talent was embodied in this table lamp that recreates American 50’s retro décor. A charming piece which casts indirect light to its top cover. And because an overarching floor lamp always looks good, here’s another one from West Elm. A classic mid-century modern piece that will surely elevate your Summer home decor! If you’re still not sure about buying that Serge Mouille floor lamp, then you can choose to revamp your home with this beautiful modern floor lamp by West Elm. A retro wall ﬁxture with a simple and strong statement. The diffusers have simple lines that give a sense of balance and freshness to any living room or dining room that intent to enhance its decorative lighting. An expressive design inspired by jazz music, Galliano wall ﬁxture has a sculptural shape and it’s versatile and yet contemporary. High Point Market and Its Latest News!